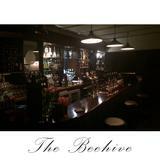 The Beehive serves modern English pub food together with a wide choice of ales, beers, and spirits. In fine weather outdoor seating is provided on the pavement area. This pub welcomes children. Do you work at The Beehive? What did you think of The Beehive? 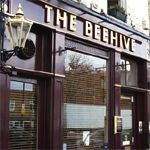 A rare proper pub among identikit-style bars, The Beehive is well looked after and well loved by its regulars and beer fans. This small, cosy, unfussy pub provides a refreshing pitstop on the long slope of St Johns Hill between Clapham Junction and Wandsworth. In contrast to the surrounding youth bars and foodie restaurants, it’s a decidedly old-fashioned place, refurbished a few years back but retaining its traditional feel, despite the intrusion of a few saggy sofas. A couple of benches on the street outside provide for al fresco drinking while indoors is a single smallish room mainly furnished with tables and stools. Beyond the bar, the space opens out just a little into a further drinking area. There are photos of old Battersea and Wandsworth on the walls, and a woodburning stove adds a cosy touch, while the textured ceiling recalls another era of pub design. The place is clean and well kept, though there’s a slight mustiness about it. 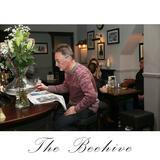 The Beehive is a refuge for those who prefer a decently kept pint and a chance to read the paper in quietish surroundings, attracting a generally - but by no means exclusively - older band of regulars, many of them male. They’re a civilised and friendly bunch, though, and casual callers are made to feel welcome. Even big screen footie on Sky doesn’t seem to disturb the contemplative atmosphere too much, and the books on the bookshelf look well thumbed rather than decorative. Also worth noting are a retro jukebox well stocked with classic tunes, and a weekly quiz. Food is limited to simple stuff served at lunchtimes only, at old-fashioned prices – fresh sandwiches filled with the likes of ham and pickle (£3.50), BLTs and specials like homemade pea and ham soup (£3). This Good Beer Guide-listed Fuller’s pub is noted for knowing how to look after its real ales. 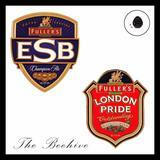 London Pride, ESB and Bengal Lancer are regularly served, with a couple of pumps dedicated to Fuller’s seasonals and guest beers that might come from Arkells, Caledonian or Thornbridge. Further Fuller’s brands are available in bottles, alongside Pilsner Urquell. There’s a small selection of easygoing varietal wines by the glass (from £3.80) while keg beers and spirits are standard brands. While this is a Beehive that rarely buzzes, considering its surroundings it does a great job of providing a much-needed alternative. 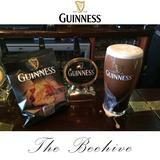 Since its refurbishment The Beehive seems to have overhauled its beer too so they now serve a decent pint again. My mates and I tend to go about once a month as it makes a welcome change from the usual Battersea style bars. The Beehive's worth giving a whirl.